March 1st to March 9th, 2019 is Restaurant Week in Downtown Bend! This is the perfect week to head to Downtown Bend and try a few new local hotspots, or re-visit your favorite places. As a community, we are about to head into our busy summer season - but right now you can try a meal from some of our amazing chefs - all at a special rate. This is an event for everyone! You can make it a classy date night, or it can be a fun weekend lunch with the kids - or even time to hang out with friends. 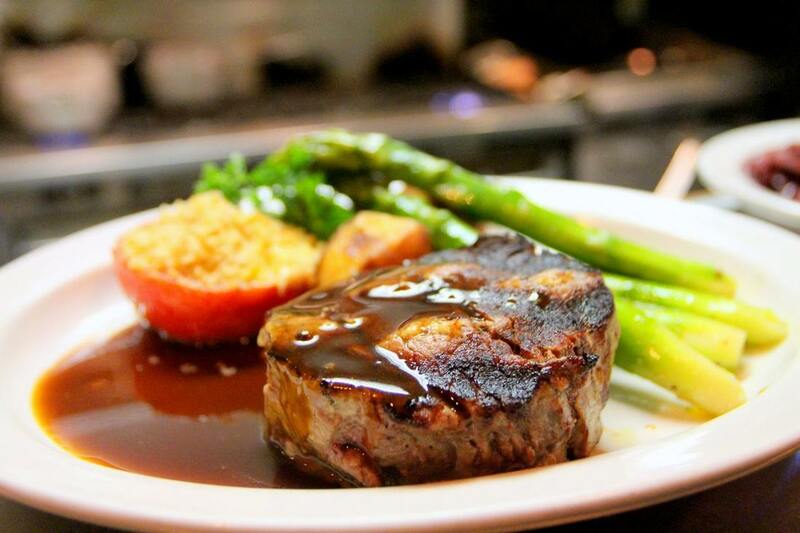 Post on social media with #bendrestaurantweek and let us know about your experience! Special Offer: Thali Meal, Samosa appetizer, entree of choice, extra curry, rice, naan bread, yogurt dip, chutney and dessert. Choice of beverage, alcoholic or non. Established in May of 2017, Mantra was the longtime vision of Jassey Uppal and Arun "Runi" Srikantaiah. The vision for Mantra was to create a modern, fast casual Indian restauraunt that will please anyone looking for flavorful Indian cuisine. Special Offer: Gyro Lamb Burger: 6oz lamb burger on a brioche bun with thinly sliced cucumbers, tomatoes and red onions. Finished with homemade feta cheese ($15). Your choice of side. Lamb chili ($8), option of bread bowl ($10). Bend Brewing Co. was established in 1995, and they are the second oldest brew pub in Bend, Oregon. They have a rich history of award winning craft beer brewed at their landmark Downtown location. Special Offer: Focaccia di Pomodoro e Rosmarino; house made foccacia with grape tomatoes and rosemary, served with extra virgin olive oil and aged balsamic for dipping. Pasta con Paesto di Rucola e Pistacchio Prsciutto Rosa; Trofie pasta with fresh pesto, tossed with arugula, topped with pistachios and prosciutto rose. Limone Panna Cotta for dessert. Two chefs, Jaclyn Perez and Betsy McDonald are traveling and blogging about their adventures with food and wine. Jaclyn blogs in Spanish, Betsy in English. 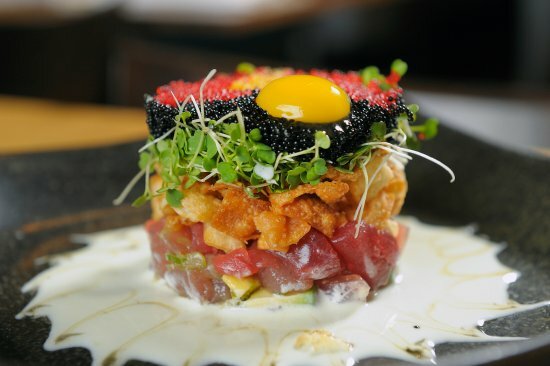 5 Fusion & Sushi Bar provides Central Oregon with a world-class dining experience featuring the finest seafood, hand-cut meats and sushi while using many locally produced ingredients. Organic live foods café! Serving all raw lunch items in Bend Oregon! Collard wraps, salads, juices, and live desserts! Kombucha too! The Jackalope Grill is dedicated to old-fashioned warmth and affordability while delivering superior food and service. ​Special Offer:​ $20 meal, chips & queso or small guacamole, 3 specialty tacos, choice of: 1 beer or holiday horchata or beverage, churros. Worthy Taps & Tacos is a culinary rebellion, bringing an explosion of taste and color to tacos and pairing with the best in local craft beer. Launched in June 2018, Taps & Tacos is casual dining in a relaxed atmosphere in downtown Bend. This is a place where we put a lot of thought into each dish we serve. The menu comes from Kyle Nicholson, a Le Cordon Bleu-trained chef. We work with local farms to source as many items as possible. ZYDECO kitchen & cocktails features great American food with a Southern twist, focusing on quality ingredients that are hormone-free, pesticide-free and organic. ZYDECO kitchen & cocktails also features a full Gluten Free menu for guests with allergies to wheat. Special Offer: One free hummus per table, with your order. Located in the heart of downtown Bend, Oregon. Joolz offers an eclectic mix of middle eastern fare with a local flair by chef Ramsey Hamdan. Deschutes Brewery will offer for the week a special consisting of; one personal sized pizza, side salad, and a beer combo (excluding reserve tap handle and cider). The Deschutes Public House has been a vibrant fixture of the downtown Bend, Oregon scene since 1988. Not only were their very first beers brewed here – think Black Butte Porter and Jubelale – but they quickly became a gathering spot for locals and visitors alike. While the beer speaks for itself through a total of 19 taps, our chefs also put the same quality and hand-crafted excellence into the cuisine.